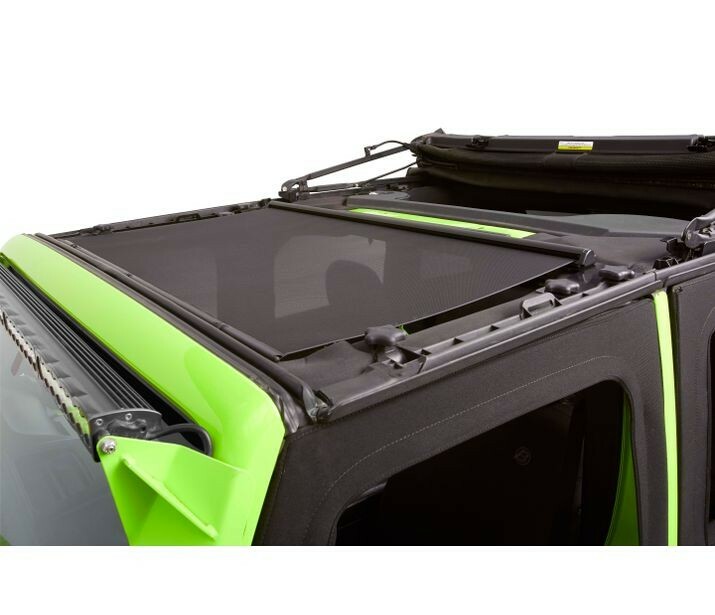 Jeep JK Retractable Sunshade 07-18 Wrangler JK Black From Bestop, Please note: This product fits the 2018 Jeep Wrangler JK This version of the Retractable Sunshade is the Sunrider for Sof Top application which works only with the Bestop Sunrider for Hardtop. It will not work with Freedom Panels installed. Works alone or compatible with Sunrider for Hardtop (not required). Not compatible with Freedom panels reinstalled. Deployable when your soft top or Sunrider are open. Not compatible with factory Freedom panels.